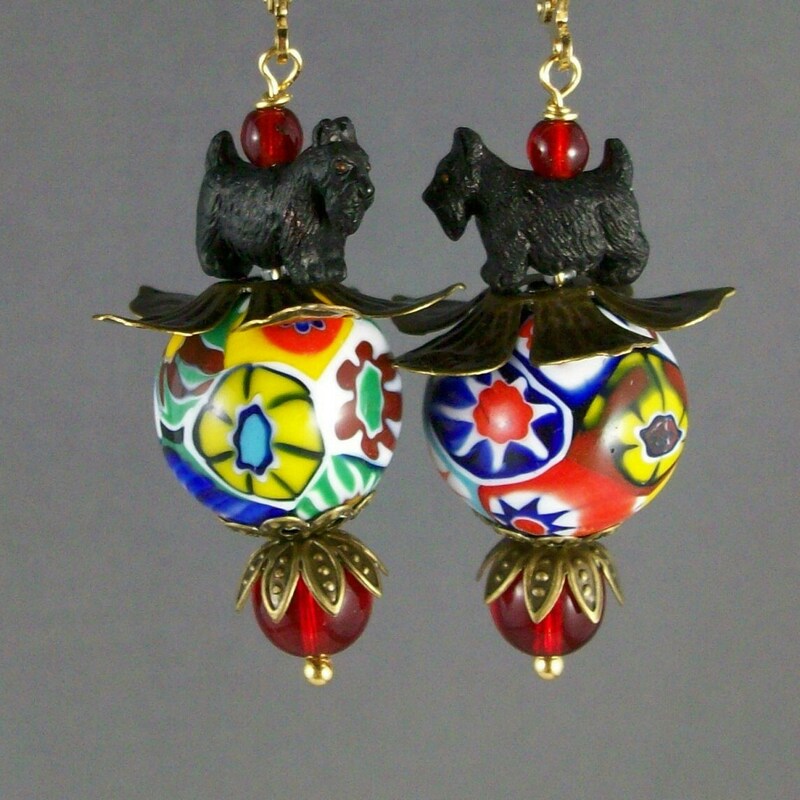 Sweet 14mm black 3-D Scotties ride upon vintage 18mm Venetian Murano glass Millefiori orbs, capped with floral bronze filigrees and accented with ruby red 8mm Czech glass druk beads. The total length from the bottom of the gold filled leverback is 1-5/8” (45mm). These hand made millefiori beads are vibrant in primary colors and remind me a bit of Imari designs…absolutely stunning!